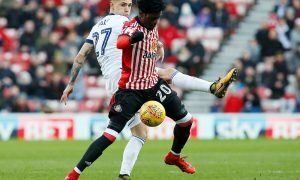 Sunderland striker attracting interest from Championship club | The Transfer Tavern | Where football transfer rumours fly or die! The Blackburn Rovers supporters here in the Transfer Tavern have been fairly content with the football their team has been playing since Paul Lambert’s arrival but a recent blip in form has seen them plummet towards the Championship relegation zone. With the club just five points away from the bottom three, Lambert is keen not to waste the transfer window and has identified several targets he would like to sign. One Sunderland fan has popped into the Tavern for an evening tipple following a rough day at work and has some positive news for the Rovers faithful. 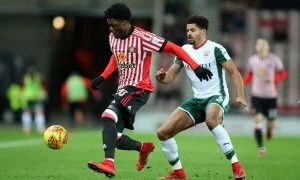 He has seen an article on football website HITC Sport that suggests Black Cats striker Danny Graham is the subject of a loan bid from Blackburn, with the player reportedly very keen to move to the Championship club. One Rovers fan is sat putting the world to rights with our landlord and thinks Graham would form a decent partnership with Jordan Rhodes and is hopeful the striker can reproduce the form he once showed in the Premier League with Swansea City. Blackburn and Sunderland fans… What are your thoughts on this transfer? Let us know in the comments below!